By far one of the cutest baby shower events we have decorated! This one took place recently in Naperville, Illlinois. Decorations are our specialty and it’s fun to go off the grid once in a while. 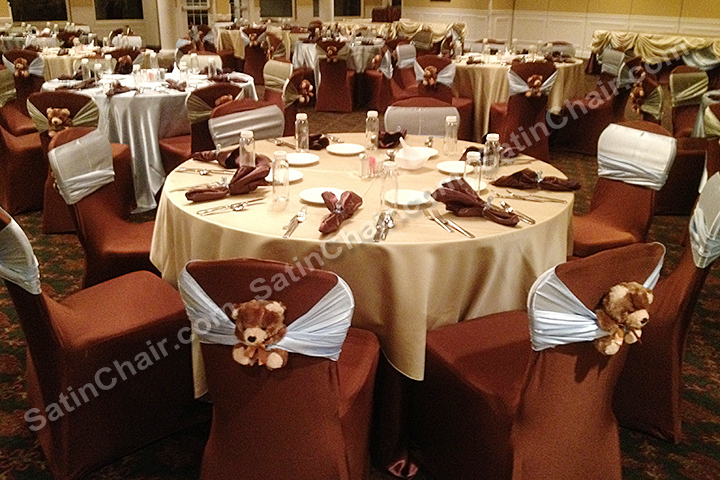 Shown are our beige table linens, brown napkins, brown spandex chair covers and silver satin sash bands (and of course, 60 bears, all named Teddy). Contact us for your event rental decor needs, it’s our specialty… from whimsical & cute to formal & elegant, we do it all. 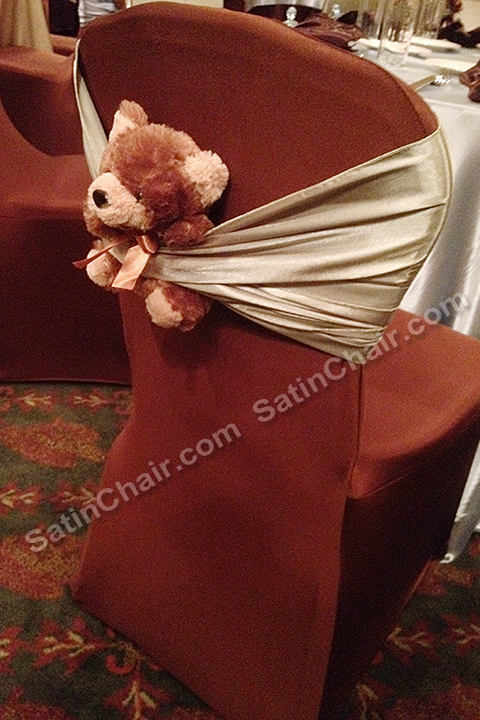 This entry was posted in Theme Ideas, Wedding & Event Decor Chicago Naperville Illinois and tagged baby, bear, brown, chair, chicago, covers, cute, decor, decorations, event, il, illinois, linens, naperville, napkins, rental, satin, shower, spandex, specialty, teddy, theme, toys. Bookmark the permalink.